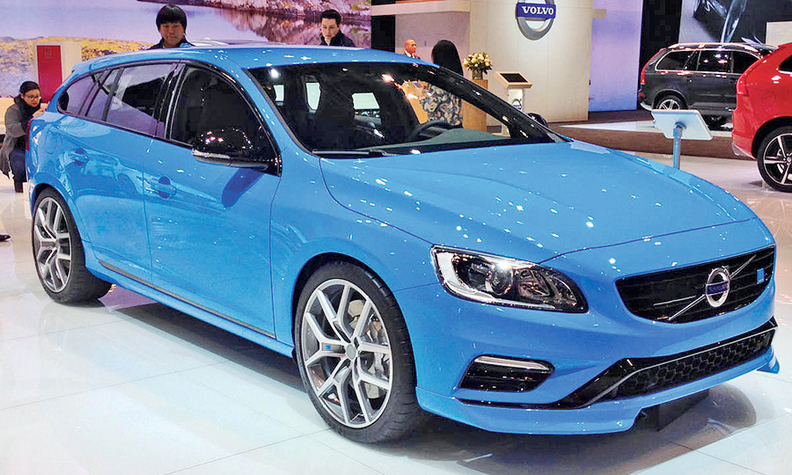 Volvo introduced Polestar Performance versions of the V60 wagon, above, and S60 sedan at the Chicago Auto Show. Production for the United States will be limited to 120 units of each body style out of 500 globally. The cars are due to arrive in late spring. Horsepower is rated at 350 and 0 to 60 mph times at less than 5.0 seconds. Said Tony Nicolosi, CEO of Volvo Cars of North America: "It's a niche product for driving enthusiasts, but it's important for the brand."